Theatremonkey is the only theatre book that has been written using trusted opinions from thousands of other theatregoers. 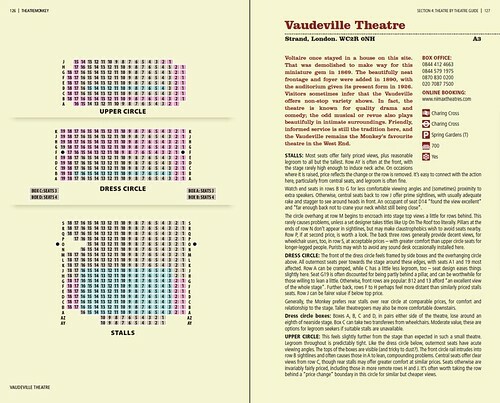 The book contains colour-coded seating plans of over 50 West End venues that highlight seats offering the best value, and those with problems or restricted views. The book also has comprehensive venue information including booking details, theatre history and facilities. 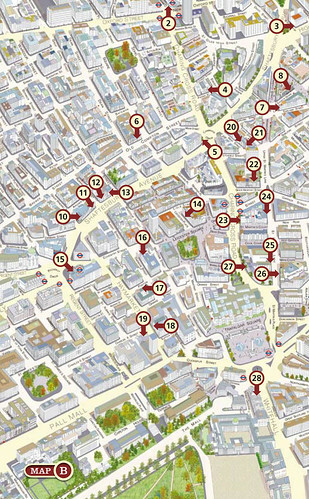 Easy-to-read 3D map of London’s theatreland to help take the stress out of getting to your venue on time. 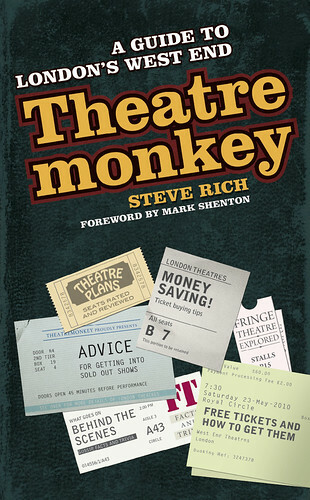 Theatremonkey is available in all good bookstores for £9.99.